Read more "Who can help Syria?" Read more "Egypt Leaving a Mark"
Read more "The missile defense fad is one-upped by Israel"
Read more "Where is the US?" On the water logged Saturday, or day 2, of lollapalooza in Chicago this summer, Perry Farrell, Lollapalooza founder, announced that the franchise would be expanding to the Middle East in 2013. 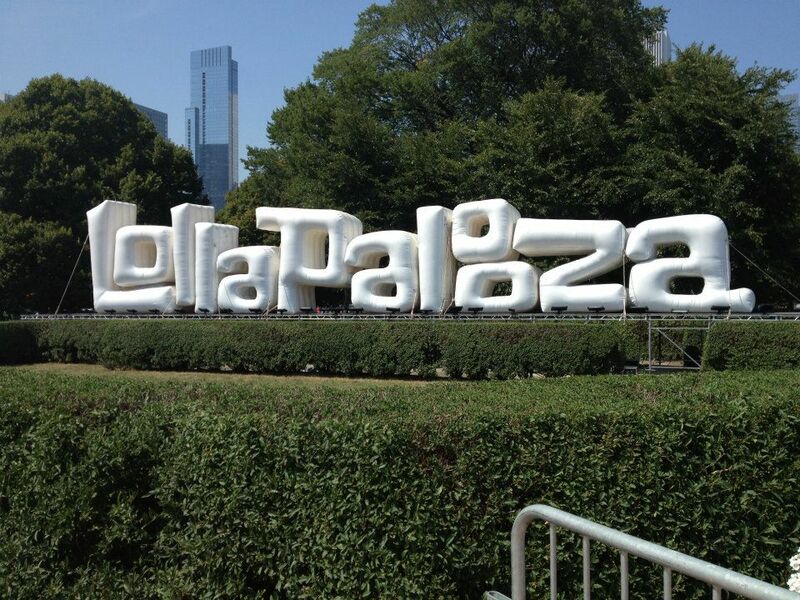 As of Summer 2013, Lollapalooza has been rocking the US for 22 year. The festival started in 1991 as a farewell tour to Jane’s Addiction, but continued to run annually. Festivals in general bring people together and are a great time for people of all ages. Lollapalooza in Chicago draws people from all over the country, and even from Canada, to come together and enjoy the great music that is played. However, this could cause quite a controversy in Middle East with the disputes happening between many of the countries. Or it could help people put aside their differences and enjoy what Lollapalooza has to offer. People from all over the world come to see the artists at Lollapalooza. In Tel Aviv this summer, it could draw in crowds across the middle east and eastern Europe. Most of the conflict within Israel is not located in Tel Aviv which is beneficial for the large music festival, but could cause issues for concert goers traveling. Getting into Israel from another country in the middle east is very difficult due to tight security. Especially with such a large festival taking place in Israel’s most populous city featuring internationally known artists. I wouldn’t be surprised if streets were closed down with extra law enforcement on call. Lollapalooza could be the glue that binds the middle east together again. Although unlikely, having popular artists playing will draw people from all over, and could influence people to set aside their differences and enjoy the festival. People from Lebanon could be interested in the same type of music as people from Israel, so their might be lebanese people wanting to go to Tel Aviv for Lollapalooza just to see their favorite artist. I just hope that this does not do the opposite. It would be such a tragedy if having Lollapalooza in Tel Aviv just causes more problems, and conflicts. It would be a shame to have such an awesome event/experience be withdrawn due to conflicts and political disputes. The festival will be held on August 20-22, 2013 in Tel Aviv’s Yarkon Park. This will be “the first large-scale global music event in the country.” (Quan) NMC United, a prominent home entertainment and music distributor and publisher in Israel, and Plug Productions Generator, a leading production and promotion company are bringing the festival to Israel. Why Israel? Tel Aviv is known for its international culture, and is known all over the world for its art, architecture, and nightlife. (Lollapalooza) There are no festivals in Tel Aviv, and there is a lot of interest in music from all over world, and a yearning to see it live. None of the top artists are traveling to Israel and having Lollapalooza will be a huge benefit for Tel Aviv as well as Israel. The festival needs to be in a city. Festival goers need to be able to have easy access to hotels, restaurants and bars. Tel Aviv will be quite a different experience for Lollapalooza because there is no curfew. There will be a large number of after parties, and the actual festival schedule will be able to be more flexible. As a major city in Israel, Tel Aviv can handle a crowd. Hosting more than 100,000 people over a three day period, will be a lot to handle, but it will be very beneficial as well. All of those people need places to stay, places to eat, and things to do on downtown. Lollapalooza will be extremely beneficial for Tel Aviv’s economy. Read more "Lollapalooza in Israel?"